It is important that our athletes participate in strength and conditioning programs during the off season so that they continue to develop endurance, strength, balance, coordination and flexibility. 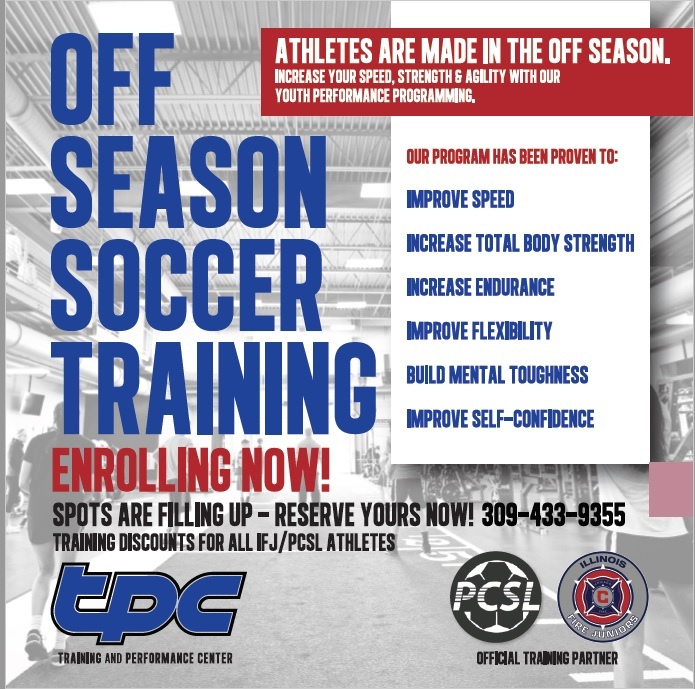 Our official training partner, the Training and Performance Center, is now accepting athletes into their fall program. Their training sessions are offered 6 days a week at a variety of times. Athletes will work on acceleration, change of direction, proper running mechanics and lifting techniques. For our athletes 15 years of age or older, they may be selected to be a part of the Performance Academy, an advanced level training group that helps athletes prepare to play at the collegiate and possibly pro level. For more information, call 309-433-9355 or visit tpcbloomington.com.